It will be mostly cloudy into the early morning hours as a weak cold front moves through the area. The best energy with this front is located to our north. Therefore, only sprinkles are expected as the front passes through. 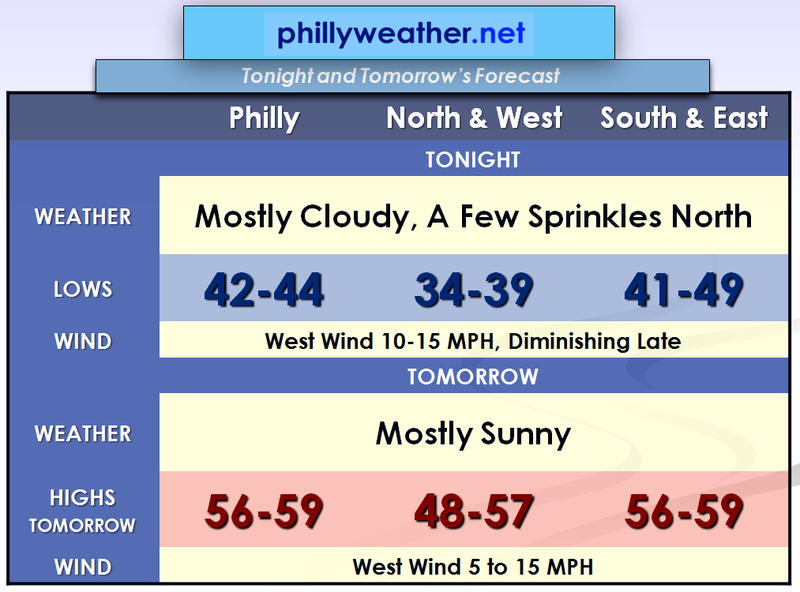 The greatest chance to see sprinkles will be in the Lehigh Valley and the Poconos. The GFS LAMP guidance was relied on heavily for low temperature expectations. During the daylight hours on Sunday, high pressure will move back into the area. Skies should be mostly sunny. The winds will also relax be lighter than today. Another weak cold front will approach the region on Monday Evening. Most of Monday should feature plenty of sunshine with a few clouds arriving late in the day as the front passes through. During this frontal passage, we may not even see much in the way of sprinkles. A warm front is expected to arrive on Wednesday and move north of the region by Thursday Morning. 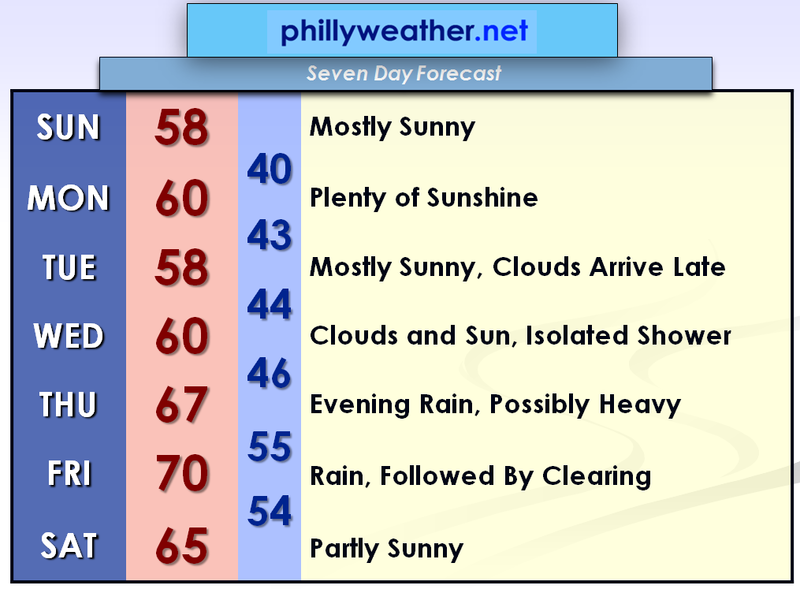 A few rain showers are possible with the highest chances for precipitation north of Philadelphia. A cold front is then expected to pass through late in the week. The GFS model is faster with the frontal passage when comparing it to the ECMWF model. At this moment, our best guess is that it may be an increasingly wet as Thursday Evening progress. We will watch this carefully as Halloween activities will be taking place on Thursday Evening. The rain should extend into Friday before skies clear late in the day. However, if the slower solution turns out to be correct, Halloween would be drier with the majority of the rain on Friday and skies may not clear until sometime on Saturday. Regardless, we are looking at the potential for a period of heavy rain sometime between Thursday Night and Friday Night.